Everyone has the potential to be creative, whether it’s through art or something else. Creativity is something that goes far beyond simply creating a painting, sculpture, or piece of music. Creativity is a tool and a value that we can bring to many aspects of our life. 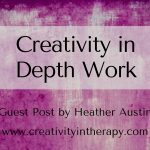 Sometimes creative therapists can get really focused on looking for specific directives and activities that they can do with clients. And although these directives can be helpful to have, it can be just as important to be able to step back and look at the process, regardless of what directive your clients are doing. 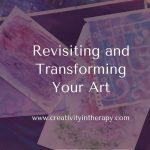 Understanding the stages of the creative process, being able to recognize how these play out for your clients, and then helping them expand this learning beyond the art or the therapy room can be a helpful tool to bring to your work. 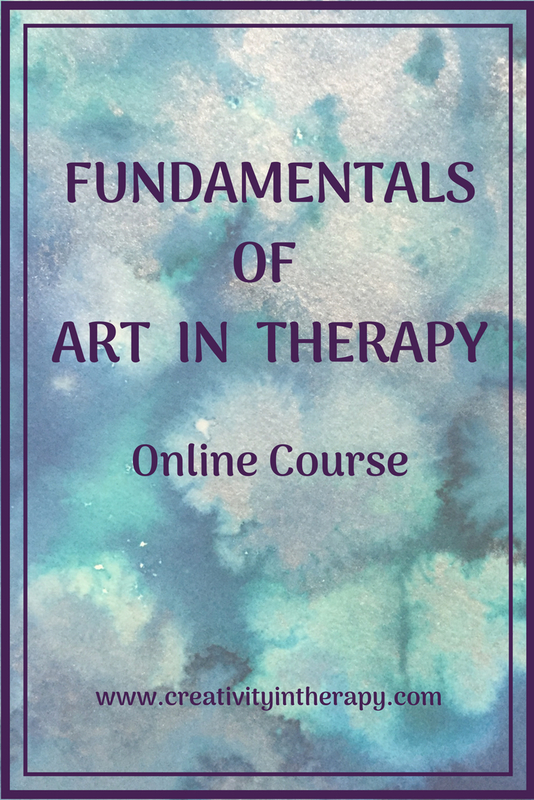 I recently completed Lisa Mitchell’s great online training for therapists – ArtFix. 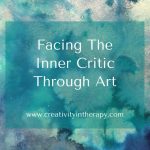 In the course, she focuses on using the stages of the creative process as a way to understand where we get stuck as therapists and then to be able to unblock our creativity so that we can better serve our clients. 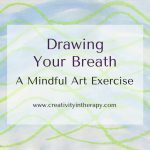 Going through this training was a great opportunity to look at my own process as an artist and as a therapist. It also realized that although I’ve talked about the value of looking at process, not just content, in our own and our clients’ art, I had never shared information about the stages of the creative process. 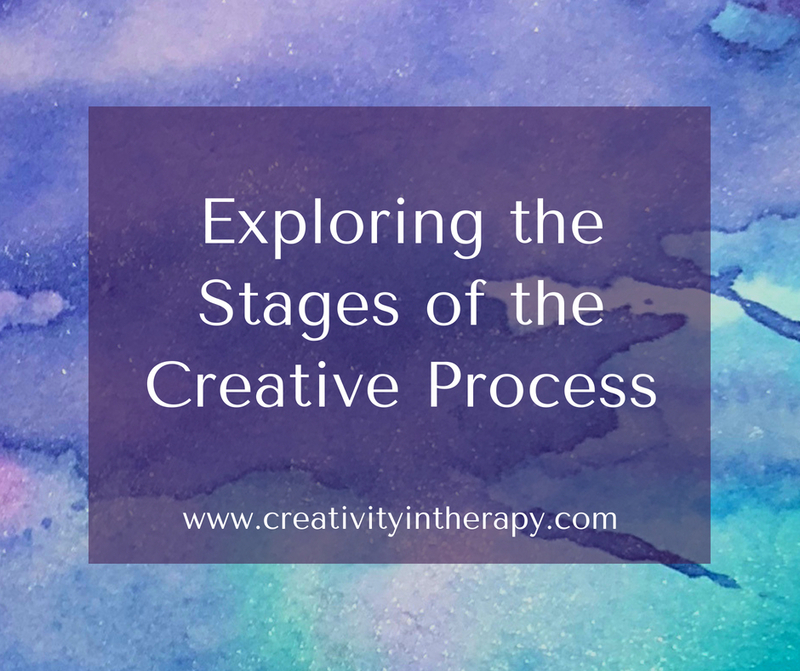 Searching online for the “stages of the creative process” will bring you many different outlines, some just three steps, others all the way up to ten steps. Lisa Mitchell labels the stages – Incubating, Initial Idea, Diving In, Flexible Commitment, and Flow. I think that understanding the stages of the creative process can be helpful for you in your own art and helpful to look at with your clients. Sometimes clients get stuck or resist “creative” interventions like art-making because they need to expand their understand of what creativity means. Others need to learn to move through the creative process so that they can unlock their inner creativity. And others might benefit from identifying where they get stuck or blocked in the process so they can learn to move past those blocks. Preparation is the step where we are gathering inspiration and practicing technique. Sources of inspiration might include conversation with others, experiences that we live, consuming content (reading, viewing artwork, listening to music, etc. ), and observing our inner and outer world. Creative ideas and artistic expression do not arise out of a vacuum; it’s important to recognize that our art is informed by the many experiences and ideas that have seen, heard, and lived. Building skills and learning techniques are also part of preparation as they lay the groundwork for having the ability to implement our creative ideas. In art therapy: Assisting your clients with preparation and creative inspiration might include aspects like having different media and materials that help engage our clients, acknowledging how different experiences inform their art, taking time to talk about what is going on with the client this week and then suggesting a directive that arises out of that discussion (as opposed to having a pre-conceived plan about what the directive will be for that day), experimenting with new art techniques or styles, looking at example artwork, poems, songs, etc. for inspiration. 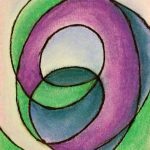 Although art therapists are not art teachers, teaching our clients technique can be a way to support their preparation stage. In exploring completed client artwork, you might take the time to discuss the inspirations and expectations that inform their art, as well as highlighting the other preparation steps they took. Beyond the art: Help clients look at what they can do to support preparation and inspiration for growth and change in other aspects of their life. Are there books or media they can learn from, conversations they need to have with people around them, role models they can turn to, or sources of inspiration they can cultivate? What exercise or skill building do they need to be engaging in to build their different abilities? Do they allow adequate time for their own preparation or do they want to rush into things? Incubation refers to giving things time to develop in our mind and taking the time to consider different ideas. Brainstorming can give rise to different ideas and help spark creativity. Often adequate space and time are needed to allow for incubation. When we walk away and give ourselves some time, the subconscious is busy putting ideas and inspiration together in different ways. 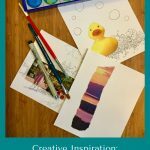 In art therapy: I think that sometimes the time-limited nature of an art therapy session can cut short the space for incubation. But we can notice how art in session might bring out something that has been incubating for a while. 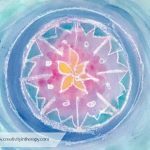 We can also help clients who feel blocked in creating to take the time to brainstorm and consider different options, as well as give them permission to slow down in their art. Returning to an art piece at a later time may allow for further incubation and a new spark of creativity. Beyond the art: Clients can be encouraged to let their thoughts and ideas incubate in regards to many different things. Although this occurs naturally for many people, we don’t always recognize that this stage is happening, give ourselves enough time for it, or honor the value of it. If you are in a culture that values active work, accomplishment, and being busy, you may need to point out to clients that this is part of the benefit of rest and self-care – you are giving your mind the space to incubate and work through things subconsciously. This is the stage where you decide on a direction or idea to pursue. It might be an “aha moment” or a sense of deciding on a plan. Insight may occur over and over as we develop new ideas in response to our creative action. Part of committing to an initial idea also includes evaluation. Once we have our insight, we may need to stop for a moment and consider whether the idea is really the one that we want to pursue. In art therapy: Notice if your client seems confident in choosing their art idea (even if it’s not fully planned out) or if they get stuck here. Sometimes the client has trouble trusting their own intuition and accepting that an idea is good enough to pursue. Others may not allow for true creativity in the ideas that they choose, deciding to copy what others have done because that seems easier or better. And some clients may feel that every idea is equally valuable and have trouble making a decision and narrowing down to a single direction. Beyond the art: Settling on a plan is an important part of moving forward with growth and change in our lives. Commitment includes valuing the idea enough to pursue it, believing in our own ability to make it happen, and giving up other options. Evaluation of our insight/ideas is an important skill in all aspects of our life. Getting an idea or an impulse does not actually mean that it’s a good thing to pursue. You can help your clients practice the skills of listening to their intuition and insight, valuing their own ideas, but also stopping and evaluating whether to move forward with the plan. Getting feedback from others can also be an important part of evaluation, so the therapist can play this role as well as help clients identify other support people. In art therapy: This is the part where the client is actually creating art. We can notice important things like the clients confidence and energy in working on their creation, commitment to finishing the art. Help the client to notice their own mindset, feelings, and thoughts that come up as they dive in to the art. Offer a safe space and act as a non-judgmental witness while your client dives in to their creation. Beyond the art: This stage requires commitment and follow through. How does your client do with those things in other aspects of their life? Do they take the ideas and insights they gain in therapy and actually implement them or does nothing change once they leave the office? Do they need more accountability or better structure for themselves to actually do the hard work once they have decided on a goal or plan? Sometimes the implementation stage feels exciting because we are finally getting to realize our idea. But sometimes it’s more about just showing up and getting started with the work. Not every model of the creative process separates this out as a separate stage, but I think it’s important to highlight, especially as we connect this to therapy. Every creative act is going to involve some editing, feedback, or adjustment. Lisa Mitchell calls this “flexible commitment.” This stage might mean adjusting our plan because new ideas come up as we work or realizing that our plan is not actually going to work. Other times we might get feedback from others or need to ask for help in order to successfully complete our project (or in order to make it better than it otherwise would have been). In art therapy: Notice how clients respond to frustrations and the need to make changes during their art. Look at whether the art piece they ended up with was exactly as expected or whether they let it evolve and change as they worked. Did the client seek help and feedback from the therapist as they worked? An issue that sometimes arises is a client wanting to give up when the art doesn’t go as planned. The therapist may want to help the client adjust their plan and approach the art in a different way, problem-solve to work through a difficulty, or support them in starting over with a new idea. Beyond the art: How does you client approach the need for adjustment and change in other parts of their life? Are they able to accept feedback from others or ask for help? Perhaps they need help with being flexible once they have decided on a course of action – recognizing when one way isn’t working, allowing for new insights, and accepting how things may evolve through the process. Do they give up when something doesn’t seem to work or do they find a way to work through this? We may also look at whether clients get overly stuck at this stage, forever trying to improve and tweak something as they strive for perfection, instead of allowing something to be good enough and appreciating their accomplishment. The next time you make a piece of art, I encourage you to notice how you move through these stages. Notice if there are particular points in the process where you tend to get stuck or blocked, allow yourself to really appreciate the value of each part of the process, and note what helps you move forward if you do get stuck. You might also want to think about how you can apply the stages of the creative process to your work or other parts of your life where you want to create something new. What are your thoughts on looking at the stages of the creative process? Is this something that you talk about with clients or keep in mind in your work? This is wonderful! One other stage i recognize in my own creative process and spend tike thinking about and sharing is as follows. The stage where i feel afraid. The terror of not wondering to continue and maybe no longer having a choice. Every show I’ve been in i look for reasons to back out. I am often tempted to crumple my paper when making art and begin again or quit entirely. Like the place right before transition in birth ( the most creative act) when it’s sooo painful and at the same time there is no backing out. I think about how the product may not match the image in my mind but how much is life just like this!? So we allow the image to take its own form and we appreciate that sometimes when we let go something new can arrive. That if we unblock and detach from outcome we may arrive at a place even better than we had hoped for. Thanks for the opportunity to articulate this…. I’m currently playing with the idea of what to do with “failed” art…when do we give up and move on, when do we try again, and how we can revisit it to transform into something new. It’s been interesting to revisit some of my unfinished or “unsuccessful” art and see what new, better things can come out of them. Thanks for your sharing ! Carolyn, it always help me a lot at my work, I am currently working in Shanghai of China as an art therapist, and this field is new here. Only a few registered creative arts therapists practices here, not so many resources I can get locally, and I am trying to advocate art therapy here in Shanghai. Viviana – Sounds like it’s hard to be so isolated as one of the few art therapists, but it’s great that you are trying to advocate and spread the word. I’m glad that the blog can help support you. Great article, Carolyn! Thanks a lot for sharing. I’m at the begining of my art therapy practice , working with a small group of four middle aged women (all of them commited to their proffesion and business carrier) for stress relief and higher self-eteem. I usually follow a pre-designed plan and present different techniques for the accomplishment of creative ideas. Inspiration, incubation and insight stages have very important role for the achievement of the therapy goals. It is difficul for me to keep the time frame and to pay attention to each stage. It is the reason to think how to explore one topic using the time of two therapy sessions. To keep the passion and inspiration between the two meetings I’m planning to set a homework assignment. It will be vcery useful for me if you can share your experience and advice. Yes, it can definitely be challenging to fit everything into a session or group time limit. It can also be challenging to reconnect with a piece of art and continue work at the next session. One thing to keep in mind would be to convey clear expectations to the group at the beginning of the project. If you plan to spend 2 weeks on it, let them know. If they will only have 45 minutes, then let them know that too. Since you have a plan in advance, you might also share that with the group. For example, “Today we will do this part of the act activity. Next week we will continue and finish the project.” I really like to idea of offering “homework.” However, it wouldn’t necessarily need to be art. 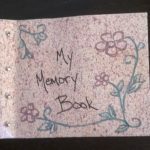 You could let them know one week what the topic will be for next time, then ask them to journal about it, collect inspiration images (and poems, song lyrics, quotes, etc) related to the topic, or just to think on the topic. If you are doing an art piece over two weeks, I would keep it with you at your office, but encourage them to take a picture to see between sessions. I know that having unfinished work out and visible is a good way to feed my inspiration and incubation so that I return to it with new ideas and direction.